Ever wonder who owns this trio of little houses at Vine Street and Elliott Avenue in the heart of Belltown? Well, they're operated by Seattle Parks and Recreation. But, what should they be used for? Any ideas? 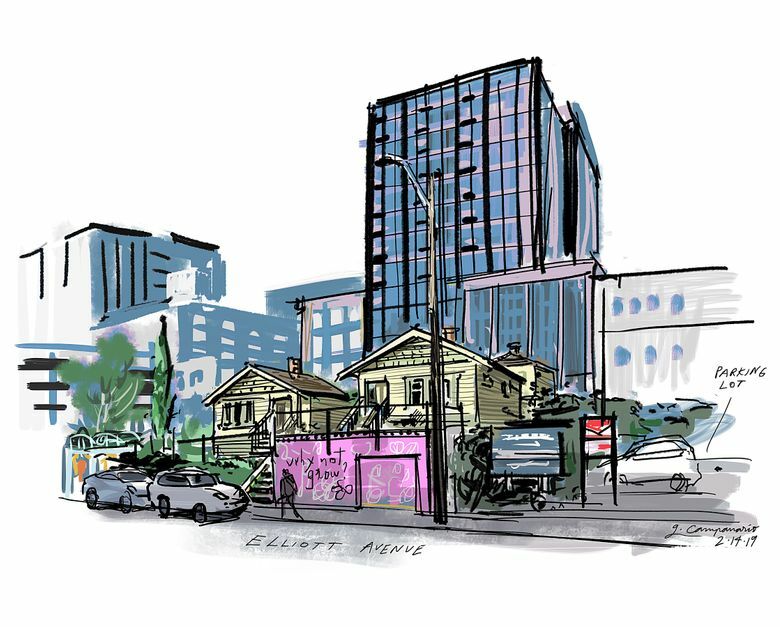 Have you ever wondered about this trio of little houses at Vine Street and Elliott Avenue in the heart of Belltown? Originally, six cottages were built in the early 1900s as temporary housing for workers of the nearby waterfront canneries. The three that remain are now part of a city park, sitting next to a well-kept P-Patch and dwarfed by much larger residential buildings. It was just my luck to meet artist and printmaker Lucas Vidaña at the park the other day. 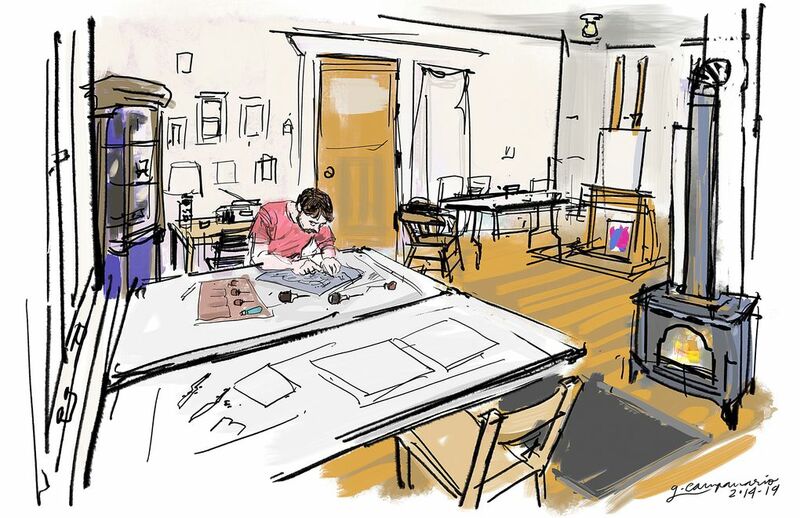 The Tacoma-born artist was prepping for the free Sunday art classes he teaches in one of the cottages through a city program spearheaded by the Belltown Community Council. Vidaña told me the use of the cottages for artistic purposes is not new. For years, the other two cottages hosted a writers-in-residence program managed by Hugo House, a local nonprofit writing center. But the program was discontinued, and Seattle Parks and Recreation is still exploring how to best use and maintain these unique landmarks. Rachel Schulkin, a Seattle Parks and Recreation spokesperson, said the cottage that hosts the art classes is regularly used by the P-Patch community and available for events managed by the Belltown Community Council, another cottage is still rented out to a tenant who participated in the writers-in-residence program, and the third one isn’t being used. After all the effort neighborhood groups put into saving these historical dwellings from development in the late 1990s, it seems a shame to see them so underutilized. But, “It’s definitely our plan to repurpose the cottages in a different way,” Schulkin said. Vidaña said the historical nature of the buildings and the proximity of the P-Patch make them an ideal venue to engage the community through art activities. “It’s a place that inspires creativity,” he said.